For partners of the Philippine Press Institute (PPI), the print media continues to play a major role in conveying information to the public that helps make their lives better and public engagement on key issues possible. This, amid the widespread use of social media that has threatened the viability of the traditional media, not least of which is print, and spawned hoax news and other forms of misleading information using digital technologies and today’s virtual platforms. At the recently concluded 21st Annual Press Forum of the PPI, also known as the national association of newspapers in the country, partners including LafargeHolcim, a major player in the global cement, concrete, and aggregates solutions industry, highlighted the value of their partnership with PPI in pushing for public awareness of vital information. 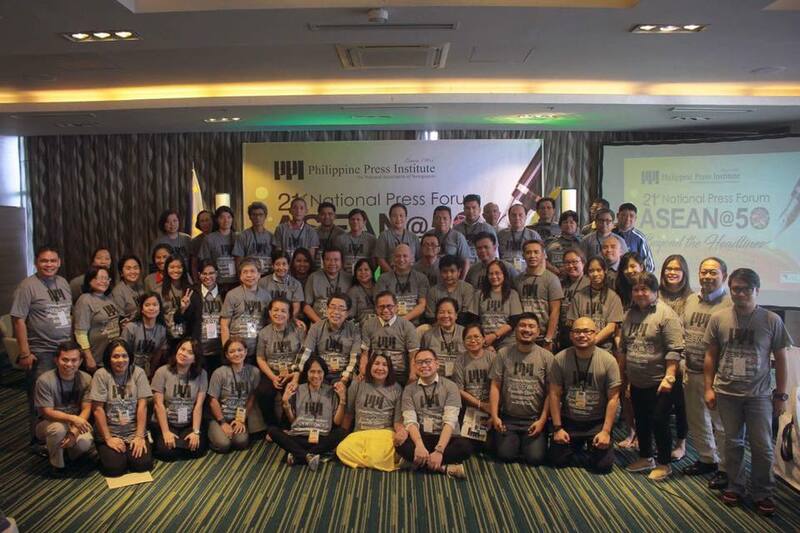 The forum, held May 24-25 at H2O Hotel in Manila, brought together representatives of PPI’s member newspaper, comprising mainly provincial or regional dailies and weeklies, and several major dailies. It also marked PPI’s 53rd anniversary. Nerissa Villarico-Ronquillo, vice-president and head for communication and corporate affairs of LafargeHolcim, said her company is looking “beyond providing construction materials” in keeping with the company’s battlecry: Help communities “build better,” highlighting media’s role toward this end. The conduct of the Sustainable Construction Reporting Seminar over the last two years and the Journalism Awards for Sustainable Construction Reporting have been the highlights of the Lafarge-PPI partnership, which she says will continue. 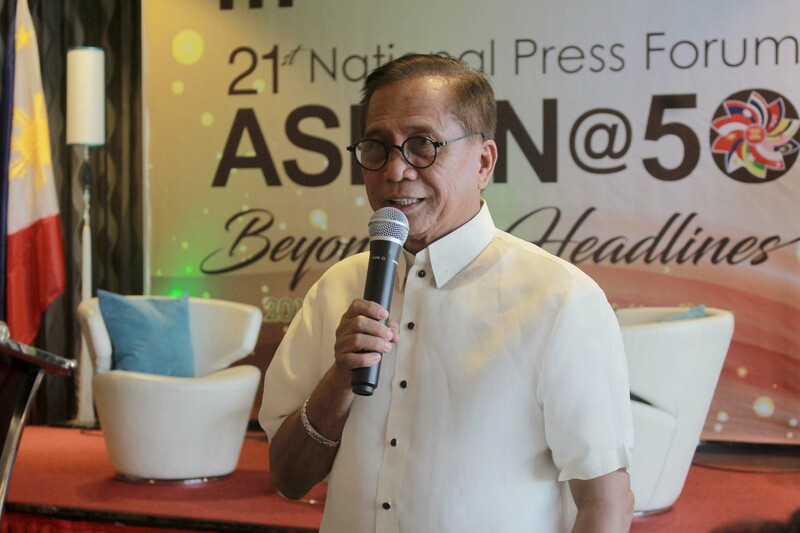 The Asian Institute for Journalism and Communication, PPI’s partner in the annual Civic Journalism Awards, plans to review the two-decade old recognition program for community newspapers, and possibly even expand it to include the other Southeast Asian countries, said the organization’s president Ramon Tuazon, who has also served UNESCO in various capacities. PPI’s annual press forum this year is themed “ASEAN@50: Beyond the Headlines.” The regional bloc turns 50 on August 8 and is chaired this year by the Philippines. Tuazon, who is also the secretary-general of the Asian Media Information and Communication Centre (AMIC) took the opportunity to announce AMIC’s ongoing as well upcoming programs, including an international conference, titled “Rethinking Communication in Resurgent Asia,” which will be held on September 27-29 at Miriam College in Quezon City. 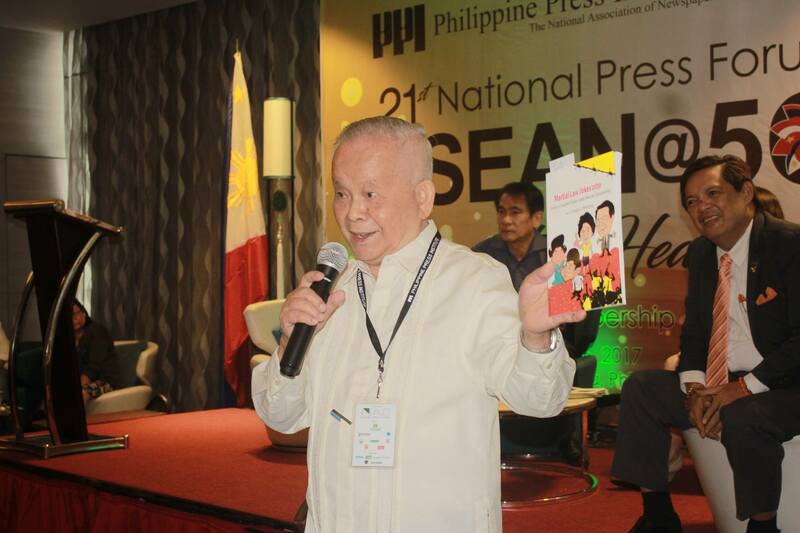 Dr. Crispin Maslog, veteran journalist and noted mass communication professor and author who graced the PPI occasion, announced that AMIC, which he co-founded, has transferred its office from Singapore to the Philippines. Maslog is the author of the recently published book, Martial Law Jokes atbp: Stories I Couldn't Share Under Marcos' Dictatorship. Barbie Atienza, president of the United Print Media Group (UPMG), an organization of print media and publication companies in the Philippines, addressed the issue of whether the print media is now a dying industry, as many posit it to be. It is “very much alive and growing,” he declared. He affirmed UPMG’s commitment to press freedom and responsibility. This ties in neatly with the traditional media’s responsibility to combat the spread of fake news — now a global scourge of social media. PPI has on an ongoing roadshow tackling fake news as part of its scholastic outreach program. Vera Files, an independent media organization, has joined PPI in this timely effort. This activity has generated positive feedback from the students, she said. To date PPI’s anti-fake news campaign among students has been conducted in three universities in Luzon and another venue in Metro Manila. Select universities in Visayas and Mindanao will follow suit. 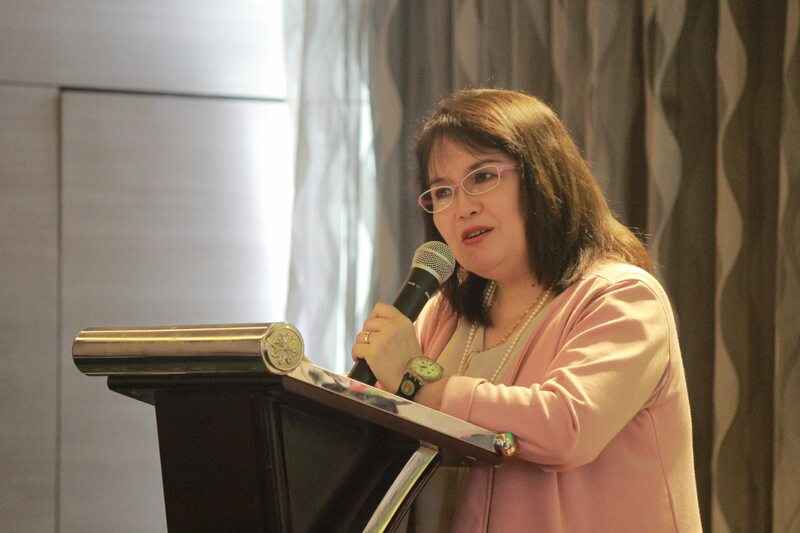 While the objectives of fact-checking are not new in the newsroom, Vera Files trustee Ellen Tordesillas said the project challenges officials to be careful with their public statements, lest they be fact-checked and be proven wrong. “Journalism is about the truth and not just using creative imagination,” she said. 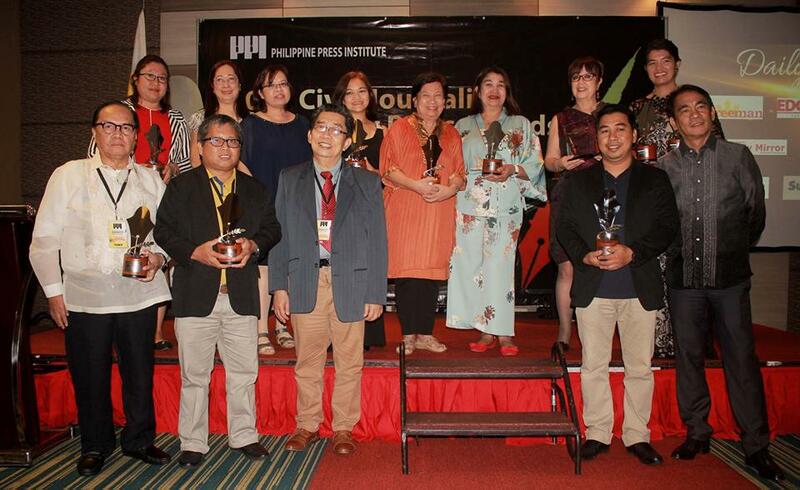 The Philippine Press Institute (PPI) closed its 21st National Press Forum by announcing the winners of the 2016 Civic Journalism Awards, held Thursday at H2O Hotel, Manila. The awards night was hosted by Cecile Lardizabal of CNN Philippines. The media must strive to bring more substantive stories to their audiences on issues affecting the Association of Southeast Asian Nations (ASEAN) and its member states. 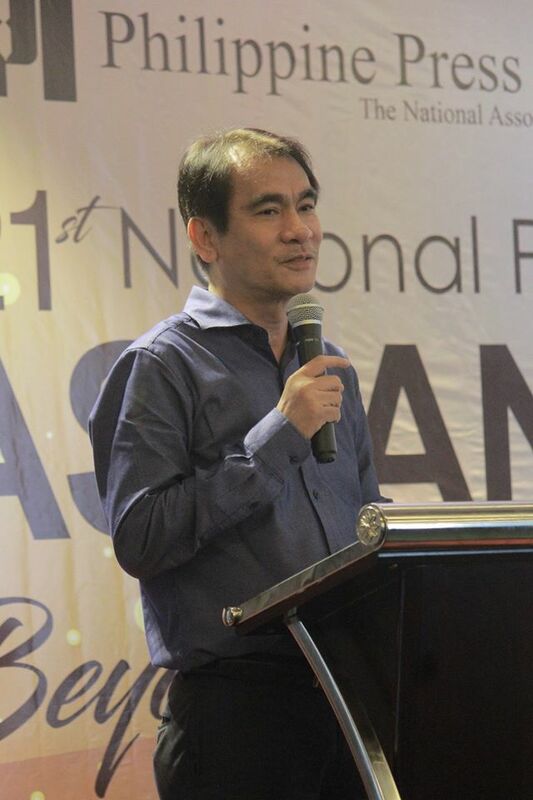 Speaking Thursday at the 21st National Press Forum of the Philippine Press Institute (PPI), Saw Yan Nang, a senior reporter at The Irrawady, an independent media organization in Myanmar, said the media, in their coverage of the regional bloc, must go beyond regional meetings and similar events. He believes that they should provide more relevant content and generate probing stories that could be the basis of government actions addressing some of the issues hobbling the region such as cross-border illegal drug trade. 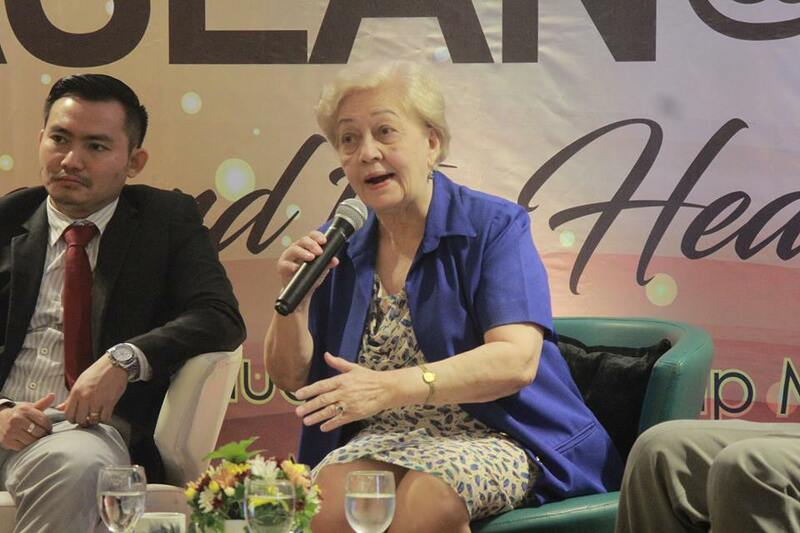 It’s when media stories generate an impact on the lives of people that they become effective,” said Saw, one of two guest speakers at the forum, at H2O Hotel at the Manila Ocean Park in Manila. 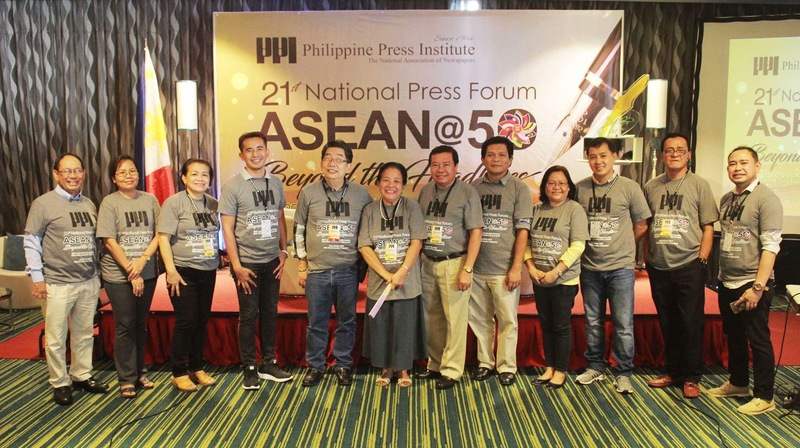 PPI’s two-day annual forum, which opened on May 24 and highlighted the commemoration of its 53rd anniversary, was themed “ASEAN@50: Beyond the Headlines.” The yearly event brings together representatives of PPI's member newspapers, currently pegged at 65. Saw was born in war-torn, eastern Karen state in Burma, which he, along with his family eventually left to seek refuge in neighboring Thailand, where he studied journalism and availed himself of similar programs that honed his writing skills. He said the media should tackle stories involving ordinary civilians such as on instances of discrimination against migrant workers crossing borders to other Southeast Asian countries. He broached the idea of members of the region’s national media joining forces or doing collective stories that tackle issues common to their countries. Despite allegations of a rigged election, the military-backed ruling party, and introduced some political reforms, paving the way for the return of exiled activists and journalists, and including publications that were heretofore based elsewhere, including The Irrawady. He recounted that media reports, including in Southeast Asia, on the murder of 11 Chinese crew in the Mekong River in October 2011 drew global reactions and led to a crackdown by the Chinese government on drug trafficking. Yet another case in point, he said, is the Associated Press story on the use of slave labor in Southeast Asia’s fishing industry, which supplies seafood to the US market. Written by a team of journalists, including one from Myanmar, the story was read by global audiences and led to the release of more than 2,000 enslaved fishers. Within the region, Saw rued that despite meetings by ASEAN leaders to address this matter, the drug problem persists in the region, highlighting the need for concrete measures, he said. Drug trafficking, for instance, in the opium-producing Golden Triangle, which covers Thailand, Myanmar, and Laos, persists. Yang said his country now enjoys relative press freedom since the advent of political reforms in Myanmar (formerly called Burma), which was ruled by a junta and had chafed under decades-long authoritarianism. Before the military ceded power in 2010, the local media could not tackle sensitive issues, especially political ones, resulting in a number of newspapers becoming veritable mouthpieces of the administration. Censorship remains to some extent in his country. Myanmar’s de facto leader Aung San Suu Kyi, a Nobel Peace Prize laureat, was elected to the parliament in the 2010 — the same year she was released from15 years of house arrest. Despite its perceived weaknesses and differences among its individual member states, the Association of Southeast Asian Nations (ASEAN) share common values that have led to cooperation toward the achievement of certain collective aspirations. 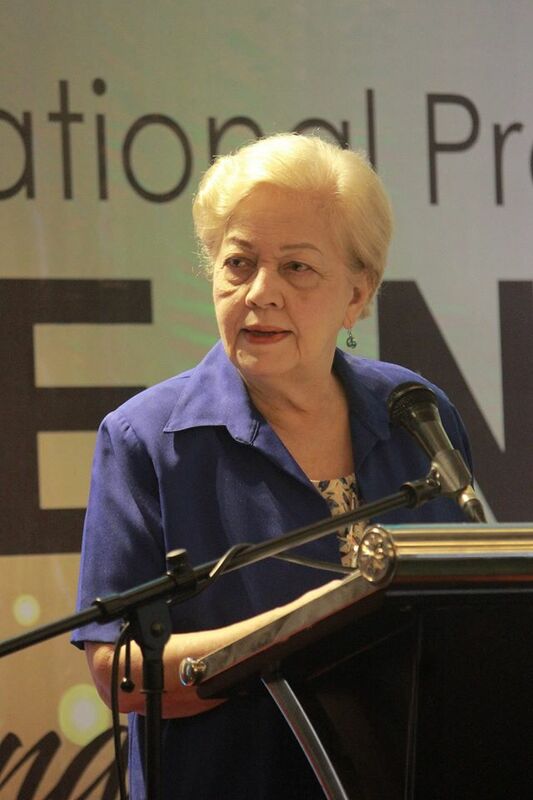 Ambassador Rosario G. Manalo, who had represented the Philippines to ASEAN, spoke about the strengths, alongside the weaknesses and challenges still confronting the regional bloc, as keynote speaker in the just concluded 21st Annual Press Forum of the Philippine Press Institute (PPI), which also marks this year its 53rd anniversary. Media can play a role in helping the public better understand ASEAN through more substantive stories, she said. Until ASEAN was established, the countries in the region had not forged unity. “We were neighbors, but we were not united,” she said. ASEAN was created through a declaration and strengthened by a charter, she said. It was originally composed of five countries — namely, Singapore, Indonesia, Thailand, Malaysia, and the Philippines — which did know each other, each with its own culture, religion, and colonizers, she said. Before ASEAN, there were organizations like Southeast Asian Treaty Organization, whose aim to prevent communism from gaining ground in the region, and the Manila Accord between the Federation of Malaysia, Philippines, and Indonesia, which she did not prosper. Without ASEAN, “I don’t know what Southeast Asia would be,” Manalo pointed out. Ambassador Manalo served as advisor to former President Fidel V. Ramos in 2006 as Philippine Eminent Person on the negotiations of the ASEAN Charter and chaired the actual negotiations of the said charter in the following year. She is principally credited with pushing for the inclusion of human rights provisions in the ASEAN Charter. In April 2015, she completed her term as the Philippine Representative to ASEAN Intergovernmental Commission on Human Rights. In June 2016 she won a seat in the United Nations Committee on the Elimination of all Forms of Discrimination Against Women (or CEDAW) during elections held at the United Nations headquarters in New York City. With ASEAN’s successes, Manalo said it can continue to strive for its priorities like achieving a people-oriented and people-centered region; and promoting peace and stability guided by the United Nations and ASEAN charters. She noted though that while the ASEAN charter guarantees human rights and fundamental freedoms, the majority of its members are still authoritarian. 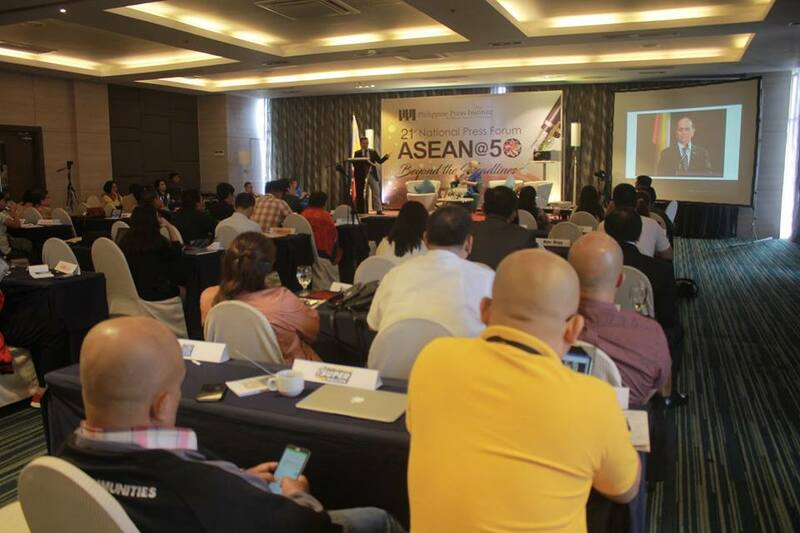 This year’s theme of the PPI’s annual forum is “ASEAN@50: Beyond Headlines.” The regional grouping will turn 50 on August 8 and is chaired by the Philippines this year. 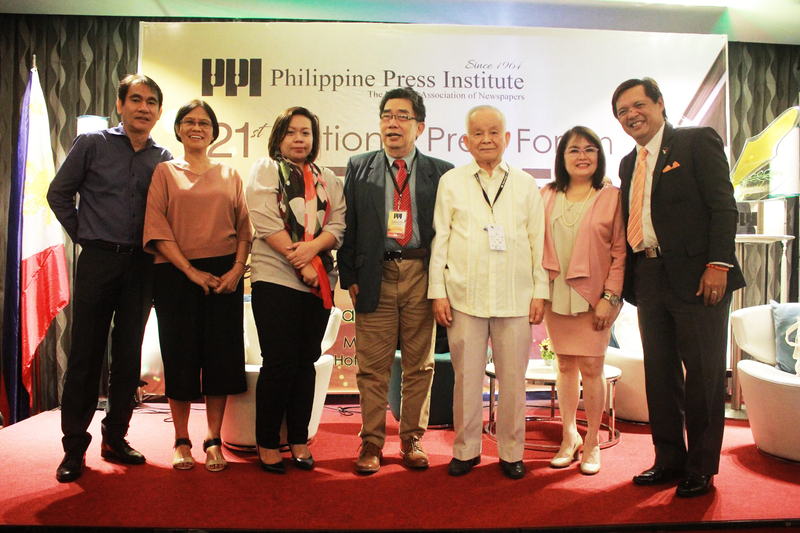 Marking its 53rd anniversary as the country’s premier association of newspapers, the Philippine Press Institute (PPI) elected a new board of trustees on Tuesday, at the opening of its two-day annual press forum in Manila. 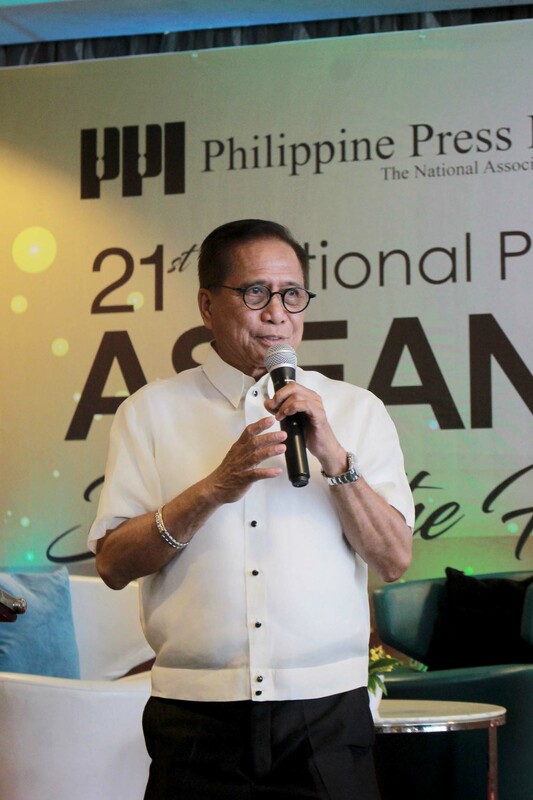 The election was held during PPI’s annual membership meeting, one of the highlights of the yearly event, held at H2O Hotel at the Manila Ocean Park. 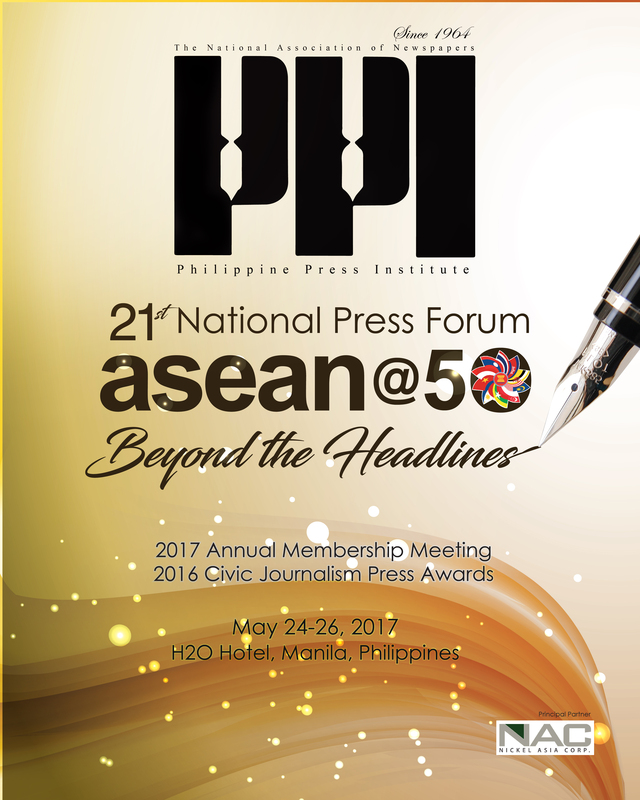 The commemorative press forum, now on its 21st year and which will conclude tomorrow, May 26, is themed “ASEAN@50: Beyond the Headlines.” As in previous years, it bringst together representatives of PPI’s member publications, comprising mainly community newspapers and a number of national dailies. The newly elected regional trustees are Alex Rey Pal, publisher and editor-in-chief of MetroPost, which is circulated in Dumaguete City and Negros Oriental; and Dalmacio Grafil, publisher of Leyte Samar Daily Express, West Leyte Weekly Express, and Eastern Samar Bulletin. Serving their second and final year as PPI trustees are Amalia Cabusao, editor-in-chief of Mindanao Times; Joenald Rayos, publisher and editor-in-chief of Balikas, which is circulated in Batangas; Sonia Daoas, executive director of the Cordillera News Agency; Adrian Amatong, editor-in-chief of Mindanao Observer; and Allan Mediante, editor-in-chief of Mindanao Daily News. Mediante was elected to take over the post vacated by Atty. 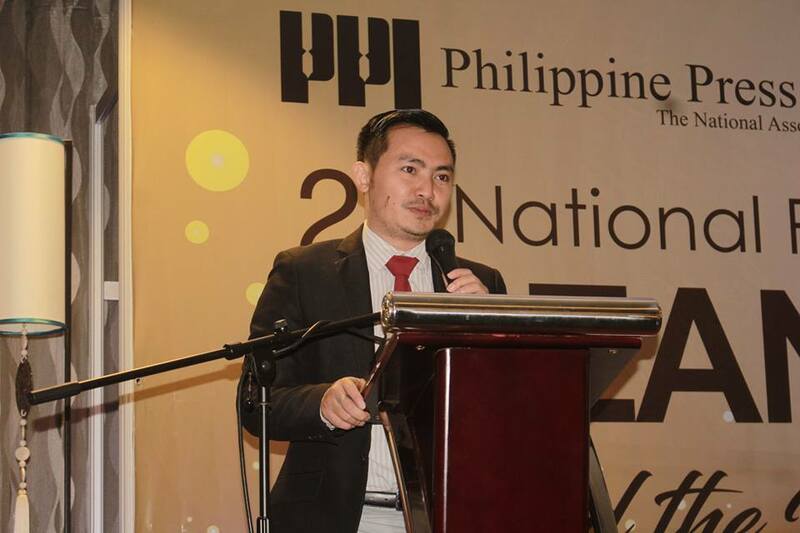 Salvador Diputado as vice-chairperson of the PPI Board and who was one of the trustees for the Visayas. Diputado is now the regional executive director of the Department of Agriculture (Region VII). Cabusao and Rayos remain secretary and treasurer, respectively, of the PPI Board. 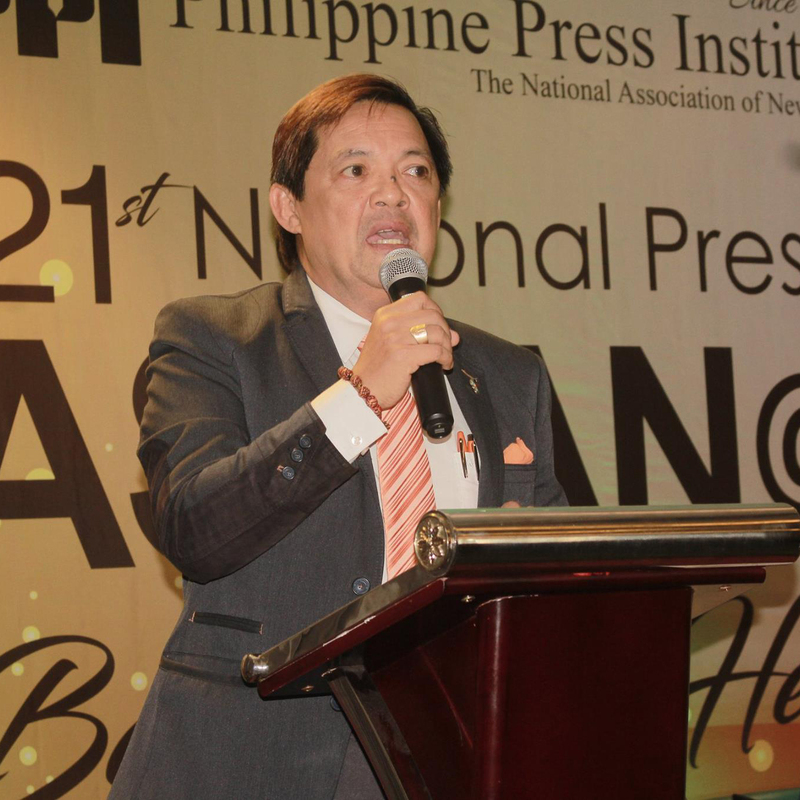 Alfonso G. Pedroche, editor-in-chief of Pilipino Star Ngayon, was re-elected chairperson-president of the PPI. Completing the board is PPI executive director Ariel Sebellino. Other PPI trustees come from select member newspapers, namely, Manila Standard, Journal Group of Publications, Philippine Daily Inquirer, Malaya, and BusinessWorld. Publishers, editors, and other representatives of PPI’s member publications pose for a group shot at the opening of the 21st Annual Press Forum on May 24 at H2O Hotel at the Manila Ocean Park. 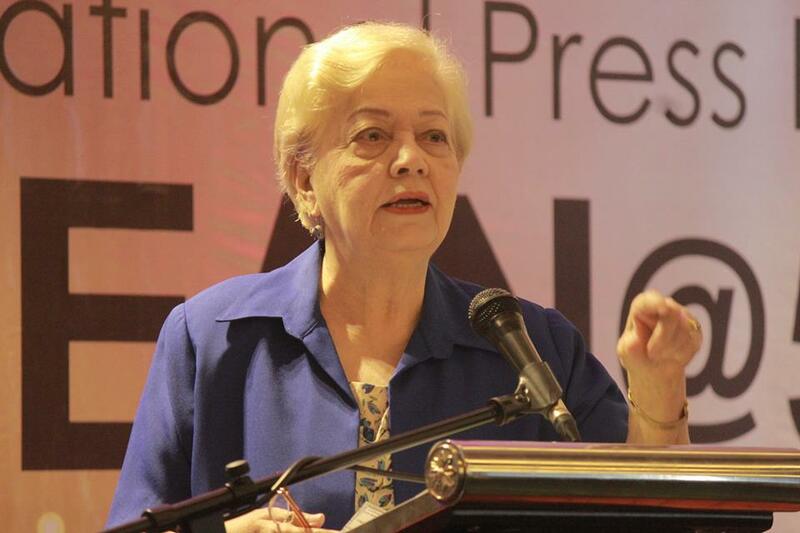 Ambassador Rosario G. Manalo is this year’s keynote speaker of the PPI annual press forum. She, along with an ethnic Karen journalist from Myanmar, will address the PPI members and guests on Thursday. The annual Civil Journalism Awards will also be given out on the final day of the PPI press forum. 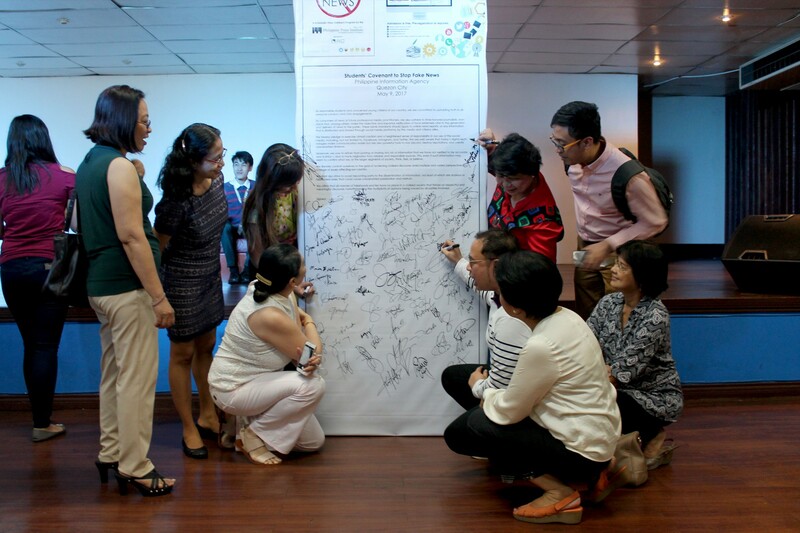 The board of directors of the Philippines Communication Society (PCS) participates in the covenant signing led by trainers Tess Bacalla and Ariel Sebellino to highlight the campaign of the Philippine Press Institute (PPI) and Nickel Asia Corporation (NAC) to stop fake news at the NCR leg of the seminar series at the Philippine Information Agency (PIA). This was attended by 123 journalism and communication students and educators from various schools in Metro Manila, information officers, and PCS members. The last for Luzon will be conducted in Malolos City on May 16 at the Bulacan State University. 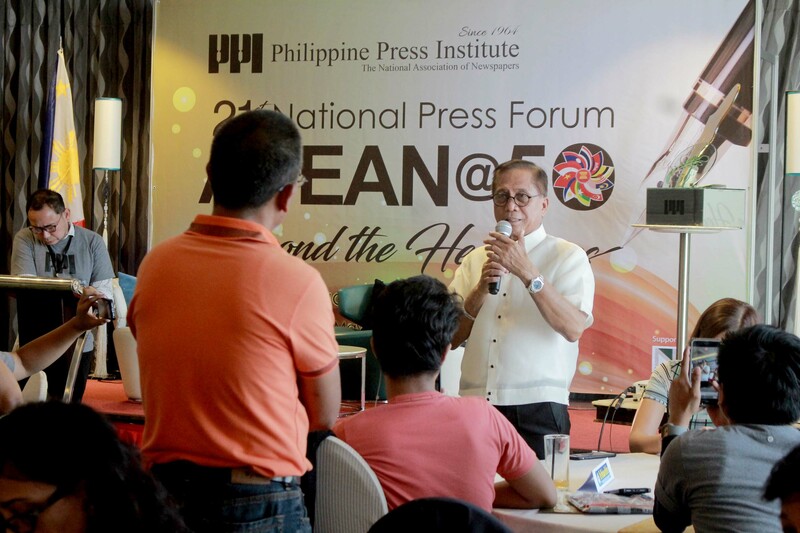 Now on its 53rd year as the country’s national association of newspapers, the Philippine Press Institute (PPI) is holding its 21st National Press Forum on May 24-26 in Manila. 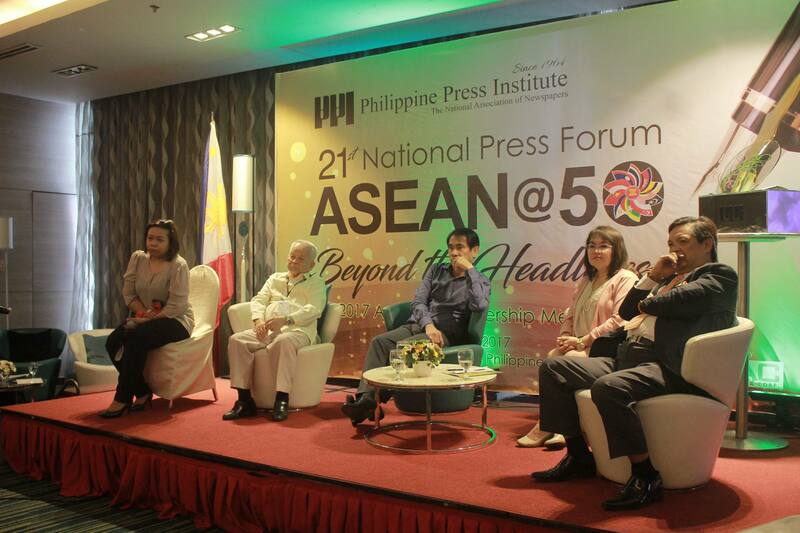 Themed “ASEAN@50: Beyond the Headlines,” the event coincides with the regional organization’s golden anniversary. The Philippines holds this year’s chairmanship of ASEAN. “Today, at 50, ASEAN’s decades-long existence should prompt some earnest reflection on several fronts. How far has it gone in achieving its goals? How much of its multi-pronged vision for the 625 million-strong regional bloc is now undeniably a reality?” says PPI in its concept note explaining the rationale behind this year’s theme. “ASEAN is not just about the much-ballyhooed, high-profile summits and similar events regularly attended by its leaders and other high-ranking officials." Former Ambassador Rosario G. Manalo, who has served as the Philippine Representative to the ASEAN Intergovernmental Commission on Human Rights (AICHR) and was Special Envoy of former President Fidel V. Ramos for the negotiations of the ASEAN Charter, will be the keynote speaker. A highly accomplished and experienced diplomat, Manalo has been the country’s ambassador to various countries, including Belgium, France, and Sweden. In June 2016, Manalo won a seat in the United Nations Committee on the Elimination of Discrimination Against Women (CEDAW), which monitors the implementation of CEDAW by member-states. A journalist from Myanmar will also grace PPI’s commemorative occasion as a guest speaker. Saw Yan Naing is a senior reporter at the Thailand-based The Irrawaddy, which focuses on Myanmar. Saw, who belongs to the ethnic Karen minority, writes about human rights and other political and social issues, including ethnic conflicts, in Myanmar. He is a recipient of regional and international fellowships, including the Southeast Asian Press Alliance Journalism Fellowship, Alfred Friendly Press Fellowship, and East-West Center Jefferson Fellowship. He has been honored with a Certificate of Recognition for Courageous Journalism by the U.S.-based non-profit organization Power Mentor, which helps young people develop their leadership skills. The much anticipated PPI forum will kick off on May 24 with a general assembly and meeting of PPI member-newspapers. This year, 14 community newspapers are vying for awards in five major categories in the 2016 Civic Journalism Community Press Awards, namely, best in photojournalism, best in environmental reporting, best in business and economic reporting, best editorial page, and best edited paper. The regional finalists are Sun.Star Baguio, Cebu Daily News, Edge Davao, The Freeman, Sun.Star Bacolod, Mindanao Daily Mirror, and Sun.Star Pampanga in the daily category; Baguio Chronicle, Metro Post, Davao Catholic Herald, Baguio Midland Courier, The Mindanao Cross, The Negros Chronicle, and Mindanao Observer in the weekly category. 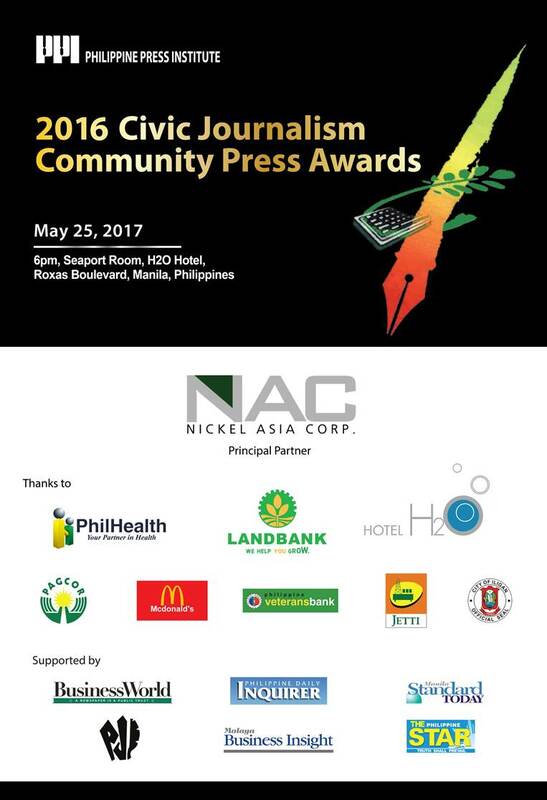 The awards program is being managed by the Asian Institute of Journalism and Communication (AIJC) and supported by Nickel Asia Corporation (NAC), PPI's principal partner in its civic journalism programs. NAC is also the major supporter of this year’s annual PPI conference. Other minor sponsors are the Philippine Health Insurance Corp., H2O Hotel, Philippine Amusement and Gaming Corporation, Jetti Petroleum, Inc., McDonald's, and the City Government of Iligan in Northern Mindanao. Building solutions provider Holcim Philippines, Inc. supported a project by non-profit organization Habitat for Humanity Philippines, Inc. funded by the Embassy of Brunei Darussalam to build a tribal village in Marilog District, Davao City for 47 Matigsalug-Manobo families who lost homes to typhoon Pablo. Holcim Davao donated 142 tons of cement in March 2017 for the production of a concrete pathway and other masonry needs for the communal facilities of the village Barangay Baganihan. The tribal village is a collaborative effort of National Commission on Indigenous Peoples, BLGU-Baganihan, Matigsalug-Manobo Tribal People Council of Elders, Inc. and supported by the City Government of Davao. The project is set to be completed and turned over to the families in June 2017. Holcim Davao Plant Manager Xavier Kennedy said donation is in line with the company’s commitment to help the country build better and to support noble efforts related to construction such as that of Habitat for Humanity Philippines. Atty. Abdussabor Sawadjaan, Jr., Habitat’s Program Manager for Davao and Caraga Regions, expressed his appreciation to Holcim Philippines for the support extended to the organization and most specifically to the Matigsalug-Manobo tribe. 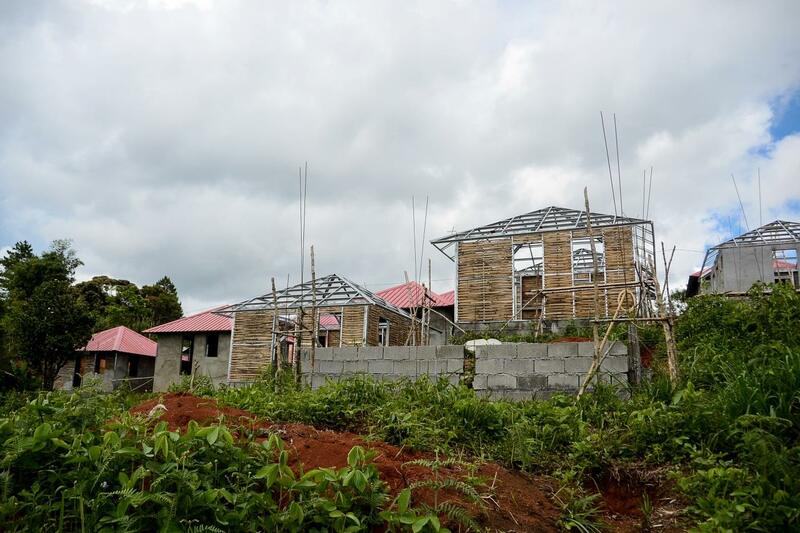 “The assistance given will uplift the dignity of the project partner to own a simple, decent and resilient housing unit that will enable them to make a home for their family, without fear of being displaced and be vulnerable to any calamities,” he said. The Matigsalug-Manobo tribe expressed their appreciation to Habitat for Humanity Philippines through “bayanihan” activities such as sacking of aggregates and cement and delivery of construction materials to the project site, 400 meters away from the giant eagle statue along the Bukidnon-Davao national highway. Atty. Sawadjaan, Jr. further stated that the project will adopt a “Single Detached Bamboo Reinforced House” design duly approved by National Housing Authority and the Department of Public Works and Highways. “This design is simple, durable and environment-friendly. It is a permanent and structurally sound shelter structure with floor area of 25 square meters with reinforced concrete for column, footing and a roof beam. The design, standards and specifications are in compliance with National Building Code,” he added. The design of the tribal village was culturally inspired, respecting the Matigsalug-Manobo affinity to nature. Atty. Sawadjaan plans to work with the community in developing the tribal village as a tourist destination that showcases the tribe’s tradition and culture. The project partners are willing to be educated and to engage in potential livelihood programs in order to alleviate their living condition. Holcim Philippines, Inc. (Philippine Stock Exchange: HLCM) is one of the leading construction solution companies in the country. The Company has a wide range of innovative construction solutions that help homeowners to large- contractors in their building needs. Holcim Philippines is a member of the LafargeHolcim Group, the world leader in the building materials industry present in 80 countries with over 90,000 employees.